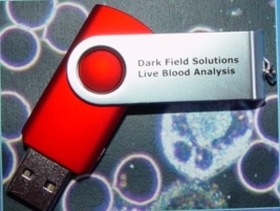 What is Live Blood Analysis? Artificial additives pervade our food supply at epic proportions. Manufacturers claim the stuff is added to enhance flavor, appearance, texture, and shelf life. Food dyes, a food additive used to deepen the color of candy, dry mixes, soups, and even bread, have gotten an increasing amount of criticism these last few years. Health authorities in Austria and Norway have even banned the use of artificial food dyes and European health authorities require a warning label on food that contains the synthetic ingredients. In Britain, warn labels caution that children who consume foods containing artificial food colorings are at greater risk for developing hyperactive behavior and ADHD. Meanwhile, the FDA in the United States has yet to say much about the proven health dangers surrounding these synthetic ingredients. So just how dangerous are artificial food dyes? The next four facts will inform you. Red 40 and Yellow 5 and 6 contain the chemical benzene, a known carcinogen. The CDC claims that very little is known about the health effects of benzene, despite the mountain of evidence pointing at its cancer-causing potential. While most of the world has banned the use of artificial additives containing this compound, American companies freely use Red 40 and Yellow 5 and 6 in many common processed food products. Processed macaroni and cheese, for example, commonly use Yellow 6 to bring out the food’s bright-yellow hue. Alternatives Exist – Choose Wisely! The only way to completely avoid artificial food dyes is to consume an unprocessed, whole-food diet. If you’re in a time crunch and have to purchase a processed food item, make sure it is organic. Organic products are prohibited from using artificial coloring, sweeteners, or flavorings. Although organic processed foods are not the most nutrient-dense food on the planet, they are a far better alternative to other options. Have you eliminated food dyes from your diet? What benefits have you experienced? Leave a comment and share your experience! CSPI. Food Dyes: A Rainbow of Risks. Washington, DC: Center for Science in the Public Interest; 2010. Kobylewski S1, Jacobson MF. Toxicology of food dyes. Int J Occup Environ Health. 2012 Jul-Sep;18(3):220-46. doi: 10.1179/1077352512Z.00000000034. Rowe KS1, Rowe KJ. Synthetic food coloring and behavior: a dose response effect in a double-blind, placebo-controlled, repeated-measures study. J Pediatr. 1994 Nov;125(5 Pt 1):691-8. Stevens LJ1, Kuczek T, Burgess JR, Stochelski MA, Arnold LE, Galland L. Mechanisms of behavioral, atopic, and other reactions to artificial food colors in children. Nutr Rev. 2013 May;71(5):268-81. doi: 10.1111/nure.12023. Axon A1, May FE, Gaughan LE, Williams FM, Blain PG, Wright MC. Tartrazine and sunset yellow are xenoestrogens in a new screening assay to identify modulators of human oestrogen receptor transcriptional activity. Toxicology. 2012 Aug 16;298(1-3):40-51. doi: 10.1016/j.tox.2012.04.014. Russo J, Russo IH. The role of estrogen in the initiation of breast cancer. The Journal of Steroid Biochemistry and Molecular Biology. 2006 December;102(1-5):89-96. Siepmann T, Roofeh J, Kiefer FW, Edelson DG. Hypogonadism and erectile dysfunction associated with soy product consumption. Nutrition. 2011 July-August;27(7-8):859-62. doi: 10.1016/j.nut.2010.10.018. Do You Know These 6 Causes of ADHD? Microscopy Course on the topic of Live Blood Cell Analysis with Certificate: This unique course covers the width and breath of this very interesting topic. The objective of this course is to give you readily applicable knowledge of dark field microscopy. In order to give you a broad and balanced perspective, it encompasses both the present medical view, the latest research as well as the pleomorphic view. Enroll me for the course here! Telephone Consultations with Dr. Eddy Bettermann MD are available after schedule an appointment, seven days a week. Each session runs sixty minutes. All information is held in strict confidentiality. If you have already in our membership, you can contact us anytime without prior payment.